The sixth annual Festival of The Arts takes to Main Street, Jeffersonville, this Saturday. We had just arrived in Vermont, in 2008, when we were invited to take part in the first Festival. It was such a perfect way to meet our neighbors and customers, many of whom have remained loyal since. We felt at home, instantly. From Valentina, willow circlet crowns with ribbons and flowers. From Liliana, silver, brass and copper earrings, rings and toe rings; silverware rings and tagua nut necklaces. 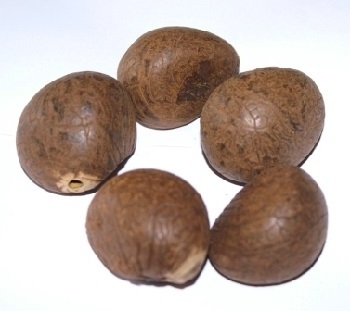 Tagua nuts are seed from a South American tree that resembles a palm tree. In the art and jewelry making industry, they are known as “vegetable ivory.” They are used whole, carved or sliced and they are dyed different colors or painted to become vibrant components of powerful jewelry creations. Dimensions vary, but tagua nuts are usually around 1 1/2 inch in diameter. Teresa will accompany the girls with her own playful, silverware inspired jewelry. Have a great time browsing the many artists, enjoying live music and a good bite, and find us in front of Visions of Vermont. We hope you find some great treasures and make great memories to take home. Visit the Cambridge Arts Council webpage to learn more about the Festival of The Arts.